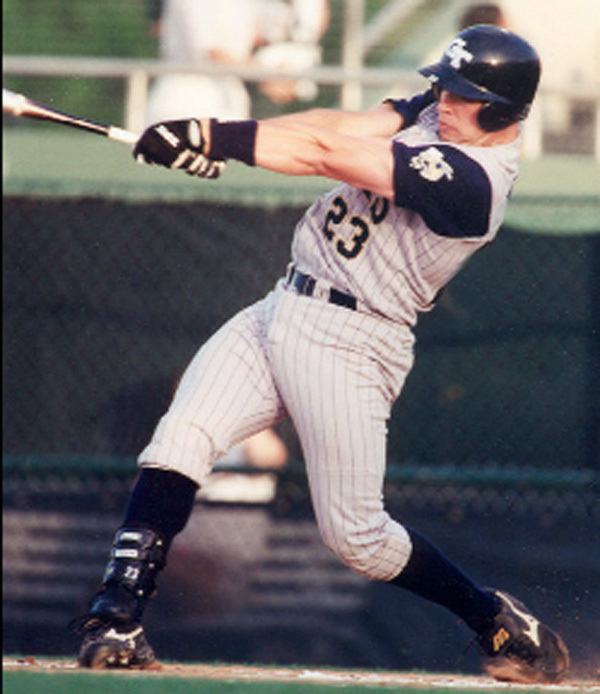 One of the best switch hitters in college baseball history was 3B Mark Teixeira of Georgia Tech, now a first baseman for the New York Yankees. He hit .427 in 2000 with 18 homers, 21 doubles and 80 RBI. Lou Pavlovich, Jr. interviewed him at the beginning of the 2001 college baseball season about how he learned to be such a great switch hitter. 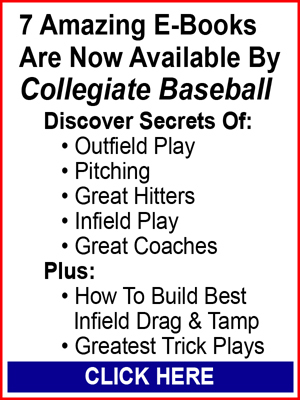 Here is the story that was published in the January 5, 2001 edition of Collegiate Baseball. Rarely has college baseball seen the likes of Mark Teixeira. The All-American third baseman for Georgia Tech is living proof that work…gut-busting work…will get you where you want in life. • In 2000, he hit .427 with 18 home runs, 21 doubles, 80 RBI along with a slugging percentage of .772. 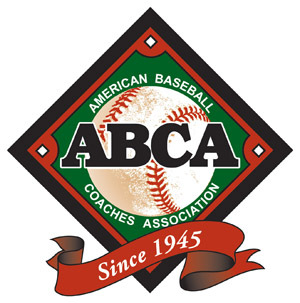 He collected 103 hits, scored 104 runs, had an on-base percentage of .547 and was extremely disciplined at the plate with 67 walks as he was named National Player of the Year by several outlets. His 67 walks (which included 17 intentional passes) led the Atlantic Coast Conference and was only nine shy of the ACC all-time record. • As a switch hitter in 2000, he had virtually the same power numbers from both sides of the plate when you factor in the number of bats he had. As a left-handed hitter against right-handed pitching, he batted .405 with 12 homers in 163 at bats. As a right-handed hitter against left-handed pitching (in less than half the at bats, 78), he hit .474 with 6 homers. • Even more remarkable was that Teixeira had an on-base percentage of .633 when leading off an inning and hit .457 with runners on base. 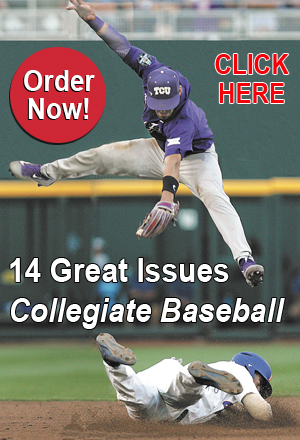 • A year earlier as a freshman for Georgia Tech, Teixeira hit .387 with 13 home runs, 18 doubles and 65 RBI which earned him Freshman National Player of the Year by Collegiate Baseball. “Mark is right in line with some of the greatest hitters I have ever had the privilege of coaching,” said Georgia Tech head Coach Danny Hall. Hall has closely observed the development of future Major Leaguer Barry Larkin in his days as a coach at the University of Michigan as well as Nomar Garciaparra and Jason Varitek with the Yellow Jackets, plus other high profile hitters. Hall said Teixeira led the NCAA Division I hitters last year in runs scored at 104 which many people don’t realize. “Most people think of Mark as a switch hitter with power who knocks runners in. But he can steal bases as well and is a smart runner,” Hall added. How did Teixeira become such a polished hitter from both sides of the plate? It all began at the ripe old age of three. “I was barely walking when I began swinging a bat,” chuckled Teixeira. Teixeira said he has always been a good hitter. “It just came naturally to me. But I never took it for granted. I kept hitting all the time. My dad would throw me batting practice daily at a young age when he got home from work until dark. At the age of five, I began switch hitting. But I got frustrated and stopped doing it. I was a natural right-handed hitter and stayed that way until the age of 13. Then I started switch hitting again and worked and worked at it. Teixeira said he is not ambidextrous but was skilled with his left foot when he played soccer as a youngster and made layups with his left hand in basketball without any trouble. He has never thrown a baseball left handed. On learning to be a disciplined hitter, Teixeira said, “Once I was in high school, pitchers know how to pitch well. You didn’t see fastballs down the middle. It forced me to learn the strike zone. My coach (Dave Norton of Mount St. Joseph’s H.S. in Severna Park, Md.) kept after me to not swing at pitches not in the strike zone since pitchers were trying to get me to chase bad pitches. Teixeira was asked if he likes to take the first pitch to size up pitchers and get a feel for them, or if he prefers going after first pitches. “If the pitch is in my zone, I go after it immediately,” he said. As far as his thoughts in the on-deck circle, he keeps it relatively simple. “I prepare myself for my at bat beginning in the on-deck circle. You must know what type of pitcher he is. If you faced him in the past, you have a base of knowledge on how he will pitch you. If you don’t know anything about the pitcher, you study him and try to pick up what you can in the on deck circle and in the dugout as well. Since I am a switch hitter, I study how pitchers throw to left-handed or right-handed power hitters. Once I get to the batter’s box, all I do is see the ball and hit it. I don’t think of anything else. I trust myself to react the way I can. Teixeira said he doesn’t do anything unusual visually when he steps to the plate such as fine centering on the pitch. He was asked what he does to get out of rare slumps. What also makes Teixeira so unique is that he has dissected the mental part of baseball and feels this knowledge is crucial to high performance. 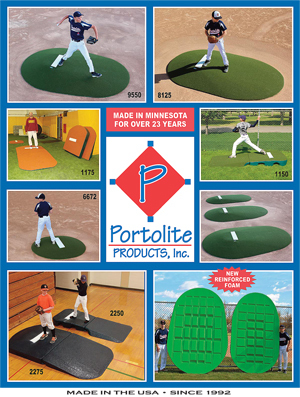 “I purchased The Mental Game Of Baseball (written by Harvey Dorfman and Karl Kuehl) because the mental part of the game is so important to ball players. “I feel properly utilizing the mind separates good players from great players. A lot of players have talent. Tapping the productivity out of the talent is the real key. If you have the mental edge, it can help propel you to the next level,” he said. He discussed an American Legion game in which his team was down 11-0 in the third inning. However, the game was stopped due to rain and resumed the following day. His team came back the next morning and going into the ninth inning were only down by one run. The first two batters struck out and the third batter walked. Teixeira came up to the plate and hit a 2-run homer to win the game. “I learned a huge lesson in that game that you never, ever give up until the last out,” he said. Even though this article is from 2001, it is still a great piece of information for those wanting to master the skill of switch hitting. Thank you for sharing it!